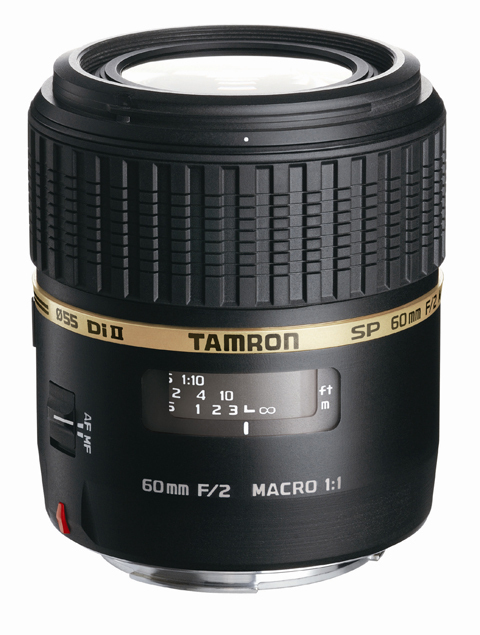 Tamron has unveiled a 60mm f/2 macro lens designed to be used with digital SLRs featuring an APS-C size imaging sensor. The SP 60mm f/2 Di II LD (IF) Macro 1:1 will deliver the 35mm viewing angle equivalent of a 93mm lens, according to Tamron which has yet to confirm a UK launch date and price. ‘Amid the growing popularity of APS-C size DSLRs, Tamron recognises that there are many photographers who wish to enjoy macro photography with a focal length that provides an angle of view equivalent to 90mm,’ said a spokesman. As well as being suitable for close-up work, Tamron points out that the 93mm focal length also makes it useful for portraiture. The 14-element-in-10-group lens includes two low dispersion glass elements and has a claimed working distance of 10cm. The new lens will be available is Canon, Nikon and Sony mounts.